Use the keywords below the captions to see other photos of the same types of car. 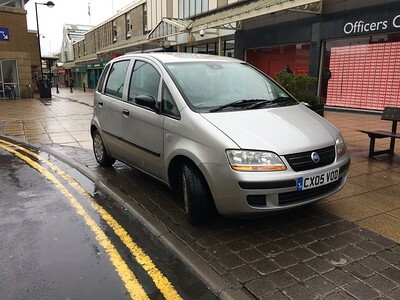 Not so much the car that's of interest here as the parking, though it's not so unusual in the city of Bradford, where this pretty rare 18 year-old car (only 229 2001 Colts on the road in 2018) with somewhat appropriate reg proves you can park anywhere if you don't give a ****. 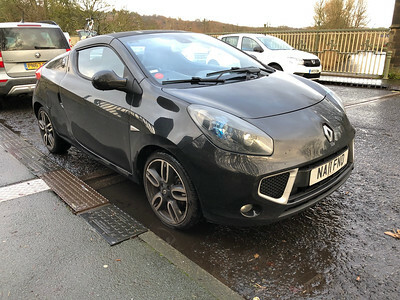 Renault sold about 2000 of these in the UK in the two years they were on sale. 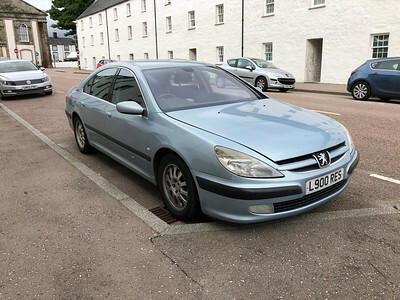 It was then dropped along with several other models in a major rationalisation of the range, making it rather rare, and a likely future classic. 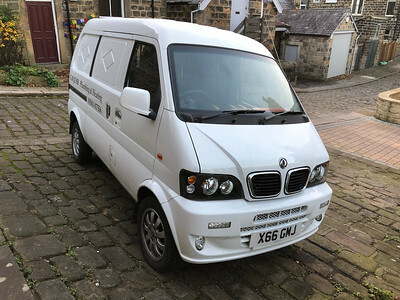 Looking a bit like a Suzuki Carry with a fake BMW 'double kidney' stuck on the front, this is actually as it came originally – made in China by Dongfeng and imported in small numbers to the UK. This one seems to have a 1.3 litre engine. It apparently isn't too terrible as a local delivery van, but lacks basic safety features. A luxury minivan or MPV made since 2002. This is a first-generation Alphard. They were produced until 2008. Don't know the exact year of this one. Not sold in the UK so this is a grey import and a very rare sight on UK roads. A diesel 607 in Inveraray, Scotland. Only 15 years-old in this photo, but I see these so rarely. In Q1 2018 there were only 1321 on the road, down nearly a thousand from two years previously. Soon they'll all be gone. Scan of a poor quality photo. 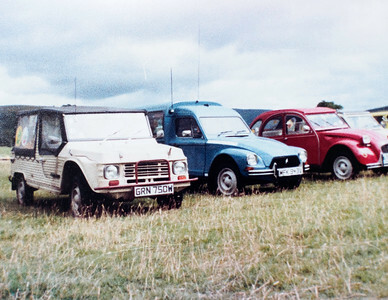 A 2CVGB event in the early 1980s. 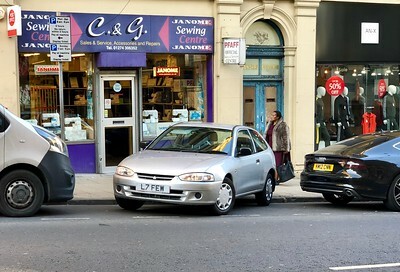 Marketed by MG Rover under the Rover marque between 2003 and 2005. Launched in the autumn of 2003, the car was a rebadged version of the Indian developed Tata Indica. 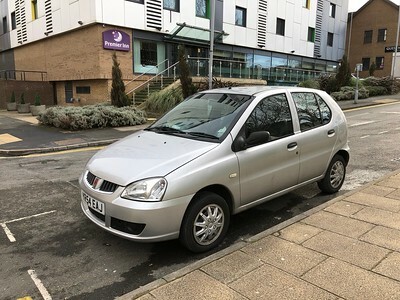 Its performance was considered poor for a small car in contemporary road tests, and its lack of quality, poor road handling and high price were not well received. Production ceased in April 2005, along with the rest of the MG Rover range, when the company went bankrupt. Numbers have dwindled rapidly in recent years, from nearly 8700 in 2006 to just under 950 on the road by Q3 2018. 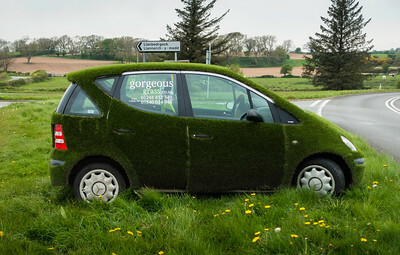 This is the sort of car that could end up extinct. 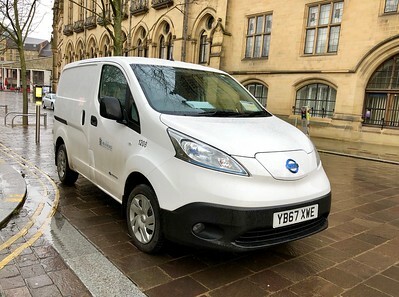 One of Bradford Council's small but pioneering fleet of electric vehicles poses in front of City Hall. Electric vehicles like this are still a novelty in 2018, but that should change in the next few years. The e-NV200 is an electric version of the NV200 van using tech from the Leaf electric car. 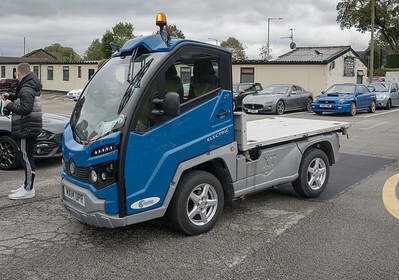 Alke is an Italian company that offers a range of small utility vehicles. This model appears to have been superseded (at least in 2018) by a new model that looks if anything less modern than this one. 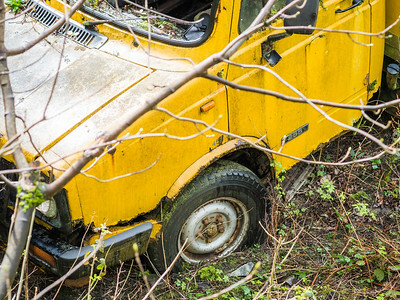 Seen in a corner of the car park at Bury Transport Museum in 2016, this van may be destined for display and restoration. It looks from the colour like an ex-Telecom van. 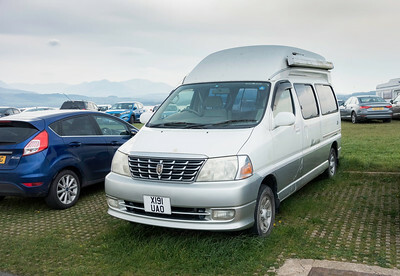 A ten year-old C6 on the motorway omewhere between Pitlochry and Glasgow. Ultra rare future classic. 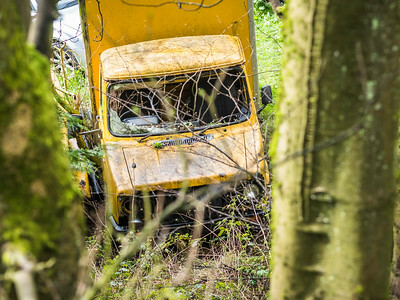 There were only 566 on the road in Q3 2018. A 17 year-old grey import Granvia at Beaumaris. This one has a 3.4 litre petrol engine. These were made from 1984 to 1989 and superseded the Freight Rover branded Sherpa that was introduced as a Leyland in 1974. This looks like a British Telecom liveried van with a 'lift off box van' rear end, though I couldn't see any decals to prove it. Seen at a breaker's yard near Keighley. I think this is one of those cars that will sink without a trace, so I thought I'd grab it before it sinks. Never a big seller, there were fewer than 2,500 licensed in 2017 (2162 in 2018), of which 749 were 2005 models like this. Let's see how many there are in ten years' time. This one is only 12 years-old. 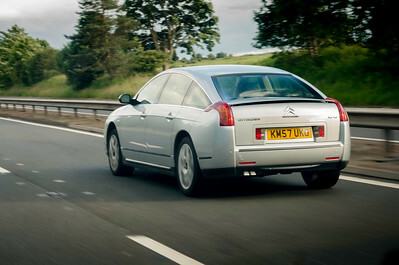 It competed with cars like the Renault Modus, which I liked but was also a flop. 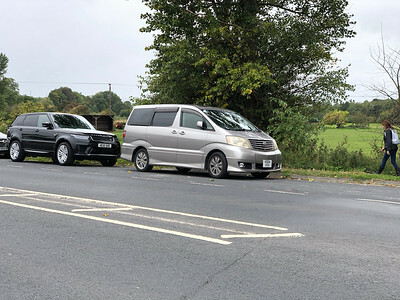 Nobody wanted MPVs based on superminis, it seems. Photo taken Keighley bus station.